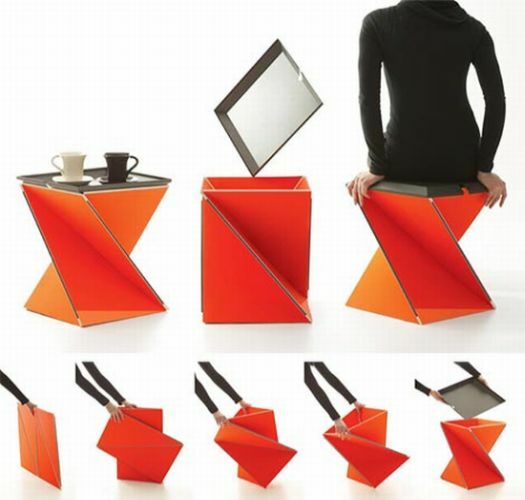 Inspired by the traditional Japanese art of paper folding, Origami, designer Yves Behar has come up with an innovative piece of furniture that tries to unfold modern lifestyle, which keeps changing day by day, through its simple, flexible and multiple usages. 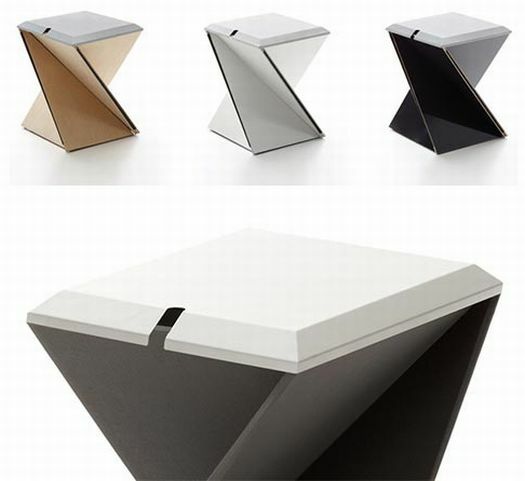 Claimed ‘Kada,’ the folding furniture can be twisted into a stool and a side table, adapting to varied needs. The Kada Stool also features a reversible tray that not just functions as the base of booster seat, but also a tray, when the unit converts into a coffee table. The portable furniture, bearing a hefty $1250 price tag, comes in a variety of color combination.